How did you come up with such a concoction as "James Dean Brown"? Hmmm, well, there was some Colombian homegrown involved... I was in Santiago de Chile in a car with Tobias Freund and Martin Schopf (aka Dandy Jack) on our way from a BBQ towards a club downtown, pretty stoned, and after some name confusion based on "James T. Kirk" of Star Trek, Martin came up with "James Dean Brown". I am very much into play on words, so I asked them if I could use JDB as my future DJ name. So you are a part of the notorious Chile connection? That's right, I know Chilean-born Martin since 28 years now, there was a community of Chileans in Frankfurt where we grew up, whose families had emigrated to Germany to escape the Pinochet dictatorship. We were producing and partying together, and I learned a lot about this beautiful country which made me arouse interest in visiting Chile Finally, my first Chile experience was when I decided to join a crew of DJs, producers, live acts and journalists who were about to organize the "Eclipse Rave", a party in Arica, Northern Chile accompanying the total solar eclipse in 1994. I set up a film team to document the event and surrounding activities. Ricardo Villalobos belonged to the crew, Sieg ueber die Sonne, Heiko M/S/O, Derrick May and Stacey Pullen. The whole expedition was as cross-border as stressful, so Martin called it "Fitzcarraldo 2000", but in the end, the solar eclipse which we witnessed together on an Andes plateau of 2500 m altitude was definitely the most incredible event I've ever experienced. That's quite an adventure, indeed. So what is your actual profession: a video producer or a wordsmith? I am a copywriter and conceptionist, and doing this for around 15 years now. Eventually, the term "Narcotic Syntax" refers to both my text and music output: the desired effect is resulted in how the ingredients (words/sounds) are put together, their quality, quantity and relation to each other. Like cooking. I enjoy finding uncommon titles to fit a concept, to fuel curiosity, to avoid a typical standard. "Calculated Extravagant Licentiousness" stands for the way Narcotic Syntax work: Yapacc and I are deeply into details, and it happens that we discuss or argue about a certain Hi-hat programming for half an hour. Usually a track by Narcotic Syntax consists of 3-7 parts. In the end, the greatest challenge is to find out how to connect all the parts in a most sophisticated way. You don't release that regularly, do you? The records we produce are always based on a concept. I don't plan the future, though, and I do not think about in which direction we should develop – we could even end up as a Death Metal band, it will always be Narcotic Syntax. If there is not really some inspiration, intuition, passion, deepness, dynamics, energy, ingenuity, we don't feel the need to go to the public. Which is what actually happened (or didn't happen) for the past few years. Except for regular contributions to the "Superlongevity" series on Perlon. Narcotic Syntax were not dormant, though. We continued our collaboration with Robert Conroy, chanteuse from New York, whose beautiful voice reminds of Scott Walker. In 2007 we consulted a fourth band member: Achim Treu, guitar player from Berlin we know for years, and recorded a few tracks. Narcotic Syntax is basically James Dean Brown and several artists, but primarily Yapacc, is that correct? Yes, initially I produced some tracks with Zip and one track with Markus Nikolai. Since April 2003, Uwe George Giegler (aka Yapacc) and I represent the steady production team. I don't have a studio, so I am dependent on others who are patient enough to transform my ideas and visions into a posh production (laughs). Yapacc is a versatile musician, he plays guitar, bass, keyboards and knows his operating system and hundreds of plug-ins by heart, this is just remarkable. While I try to conduct from my capricious point of view (laughs) – which actually seems to be an ideal combination for our studio and live collaborations. Uwe came up with the idea of working together back in the day in Frankfurt, and we immediately started producing an EP for Perlon (Perl 39). Both our musical interests are rooted in the experimental, avantgarde ground of music, like 70es/80es electronics, Psychedelic, Fusion Jazz, Prog Rock, Frank Zappa, Exotica, but also Soul and Funk. Not everybody grew up listening to Avantgarde, do you come from a musically instructive family? I wasn't even interested in Kraftwerk that much. Although "Autobahn", "Radio- activity" and "Computerworld" are masterpieces, I prefer the Japanese electronic equivalent Yellow Magic Orchestra. This is just perfect Pop music – in terms of composition, arrangement, sound design, production, performance. Their album "BGM" belongs to my top two all-time favourite music works, and it still gets even better every time I listen to it. YMO are totally advanced by merging Pop, Avantgarde, technology, melodies, Japanese tradition, yet they are so subtle in shaping the future. And imagine, it's from 1981 (like "Computer World" btw). I am curious now, please tell us what is your other favourite album of all times! Never thought it would be possible, but some time ago I succeeded in designating my definite favourite album. Which would be the self-titled LP by Monitor from California's San Fernando Valley, released in 1981 as well. I think I will never fully understand the band's eerie music. It's of mysterious beauty, a fact that makes it so exceptional. Monitor merged a spooky Surf sound with New Wave Exotica, Tiki culture, Kurt Weill, Johann Sebastian Bach, sequencer electronics, tribal percussion and incantations, a blend which has been once described as "electro-psychedelic paranormal chamber music". There is a lo-fi upload of the whole album on YouTube. Plus an amazing, quite disturbing video clip of one of their songs performed live at "New Wave Theater". The growing experimental electronics scene in the early 80es caused sheer excitement. Around that time electronic gear started becoming affordable, vintage rhythm machines etc. Every band invented their own style, conceived their own rhythms, there was no dogma about musical genres, no groove dictate. Music was created out of a vast reference field that included Dada, Fluxus, The Stooges. I miss this kind of inventiveness today. The music scene was multifaceted, much more liberated, and expressed more autonomy over their unique sound. This is what made that time memorable for me. Visiting a concert or performance was an adventure, a physical experience, you hardly knew what would happen on stage, or among the audience. Being asked what the 80es scene felt like I'd point to "122 Hours of Fear" by Screamers whose exemplary posing epitomize the cranky Punk approach of this era. Speaking of the 80es, how was life in Frankfurt before your moved to Cologne, and then to Berlin? I grew up in Frankfurt, there was a small but vibrant party scene. We had an impresario at the time, Hans Romanov, who is still active in Frankfurt, who found many exciting underground locations over the years, mainly in the red-light district, sometimes one-off venues where he installed a bar or lounge or a small club for a limited time. Every local DJ would play there, nd_baumecker among them, who is the Berghain booker now. The usual suspects of the Frankfurt scene resided at these places, and so did I. Preferably I played 80es electronics which was a bit anachronistic, but the people appreciated that, we were allowed to play whatever we wanted anyway. Also pre-club music at the intersection of EBM and Detroit, sometimes merged with post-Punk or quirky guitar stuff. I should mention the fact that at the same time Sven Vaeth was DJing EBM and early club music in a far more professional outfit: at the 'Vogue' club which should transform to the world-famous 'Omen' in 1988. His signature track was "Proximity Switch (Accidents in Paradise)" by Informatics which had an enormous impact. The American Forces were garrisoned in Frankfurt, so there was a huge musical influence via AFN radio in the region. Soul and Funk were omnipresent. Some clubs played exclusively black music for the GIs. So it was inevitable to get hooked on this deep and sensual sound, even as a kid. Funk is full of surprises, as this music is all about the notes that are NOT being played. Is it any wonder to become addicted to songs like "Holy Ghost" by the Bar-Kays, "Last Train" by Graham Central Station, and to B.T. Express? And then, Frankfurt and Berlin became the headquarters of club music. That's right. Finally, when Acid came up, I felt pretty bored at first, because artists were programming only one sequence into their 303s, whereas you could do so much more with that machine. You know, when producing music, we had used the Roland TB-303 because it was the cheapest sequencer we could get our hands on. I didn't like the sound that much, so I used it often through some boosting or distortion effects. I used to program the sequences of 6-minutes songs into the machine – melodies, bridges and refrains –, which took me around 6 hours. Everything is well-archived on the Hypnoweb btw. Anyway, although I didn't establish an emotional connection to Acid House, I liked to go to warehouse parties because it was a new kind of freakout, the dawning of a new era, and I got to meet weird and interesting people. And in the end, the conceptual approach of functionality hypnotized me when I listened to "151" by Armando for the first time. It couldn't get more reduced and consequent after that. Then I got introduced to Deep House: Luckily it happened that I was asked for writing promo texts for Neuton Distribution. For a year I picked up regularly a pile of white labels from their office to write about them, and frankly speaking, I didn't even know the difference between Chicago and Detroit sound back then. I just started listening and jotting down notes and metaphors to the music, getting inspired. Soon I realized that these House productions used samples from 70es Motown records which I was familiar with and emotionally connected to. So by this reference to the music I loved, I was naturally getting deeper and deeper into House. It was the time when Ata and Heiko M/S/O started working for Delirium Records, and they initiated an underground party series called "Wild Pitch Club", inviting Paul Johnson, Cajmere, Carl Craig and other big names who where not so expensive if you'd book them at that time. The scene was still small, family spirit. What a great gift: I was lucky to be soaking up all these impressions from the masters. For roughly a year, the Frankfurt club scene was pretty special for a community "in the know" who was genuinely passionate about this music. This was the fertile ground on which Ata founded the club 'Robert Johnson' later on. When did you get into DJing in clubs? I never really intended to become a club DJ. 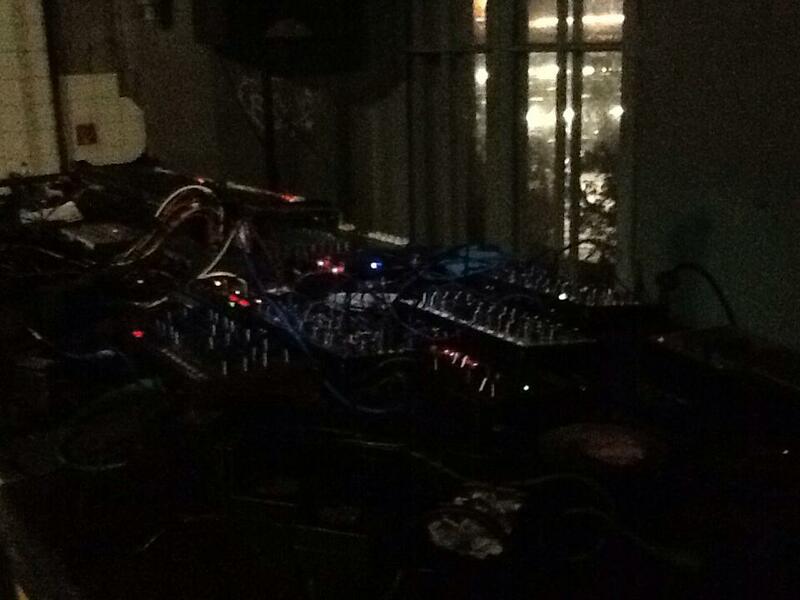 But there was one special event in a red-light district venue where AtomTM, Dandy Jack, Tobias, Markus Nikolai and some other friends performed live while I was DJing in between their sets – early Warp and Rephlex stuff, still merged with 70es/80es electronics because they fit so well together with so-called "IDM". I did not do any beat matching until a DJ friend of mine entered the booth and showed me that it makes sense mixing some of these records instead of cutting them. What an interesting perspective (laughs)... The first thing I did to improve my mixing skills was trying to match absurd records at private parties – just because their bpm rate appeared to be similar. Sometimes I ended up mixing a Fusion jam into some Detroit track, or matching a Drum 'n' Bass track with an uptempo Hungarian 70es Rock song, or "Nag Nag Nag" by Cabaret Voltaire. And sometimes there was Markus Nikolai playing keyboard accompaniment to my sets. Finally, from 1997 to 2005 I produced a weekly, 60-minutes live radio show entitled "Elektropensturm" (Electropical Storm) on Radio X in Frankfurt, "In(tro)ducing the Unimaginable". The show featured an amazing variety of musical styles, formats and themes – whether acoustic or electronic, binary or orchestal. Only in July 2011, after a few years break I presented "Elektropensturm #25" at Berghain's "Elektroacoustic Lounge", supporting Ricardo Villalobos & Max Loderbauer's "Re: ECM" live premiere, their remix album for which I also wrote the liner notes. Can you tell us about your move to Cologne and your collaboration with Treibstoff / WIR? I was looking for a job and wanted to get out of Frankfurt – the Jack Nicholson of all the bad-tempered German cities (laughs). Frankfurt felt like it's just too small to allow expanding. I used to complain about the village look-and-feel (which I love from the distance, though), despite the breathtaking skyline. So I applied for jobs all over Germany, and an event agency near Cologne employed me as a conceptionist. I moved there, but I must say, Cologne and I don't get along well, it's a matter of incompatible temperament. Coincidentally, Narcotic Syntax had just finished the double 12"EP "Provocative Percussion" which Zip was not sure whether to release it on Perlon. With this release our concept was to get rid of our melodies-and-vocals-baroqueness we applied before in favour of stripping our productions down to an imperative rhyhm core. Which, in fact, turned out to become as complex as the tracks we produced before, maybe even more complex, but focused on the percussive element. Marcel Janovsky proposed to release it on a Treibstoff sister label WIR (We in Rhythm) he was just about to launch. I thought it would be a great opportunity being involved in forming the musical profile of a new label platform, so we agreed. Additionally, working with WIR allowed us to do our own artwork and liner notes. 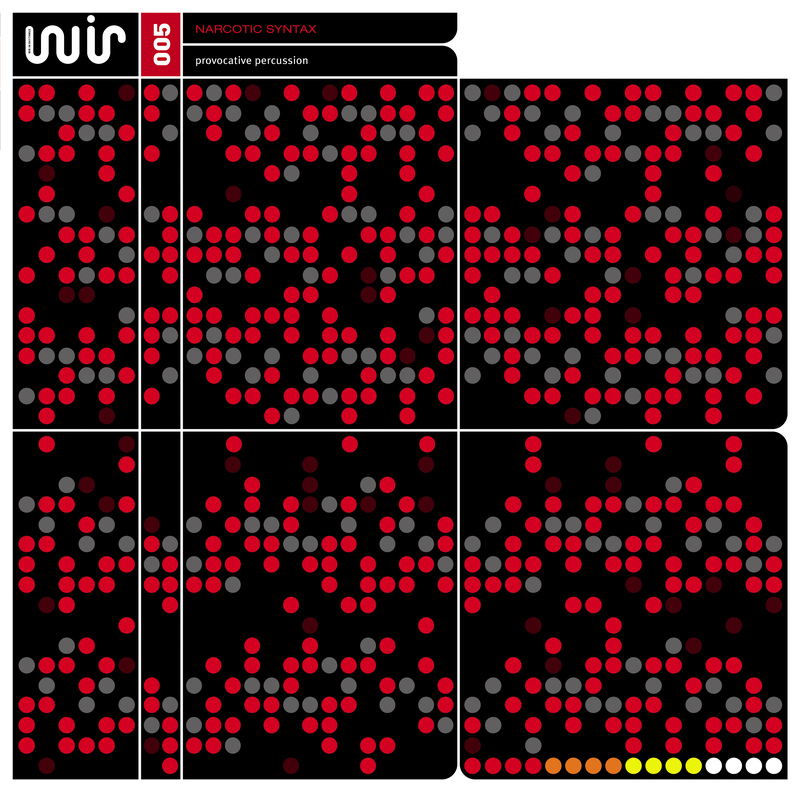 In the end, the design for "Provocative Percussion" resulted in a spoof of the original album series of same name from the early 60es, including a graphic reference to my favourite rhythm machine, the Roland TR-808: four white, yellow, orange, red dots in a row indicating its push buttons. I supported the Treibstoff club nights as a DJ at the 'Gewoelbe' club, and finally the Treibstoff / WIR collaboration was consolidated when Marcel asked me to take over the A&R matters for both labels, which I did for 3 years. Then I got more and more involved in regular jobs in Berlin which gave me the opportunity to explore the city in detail. So eventually it was evident to move to my mother's birthplace which I knew well already from the 80es as an adventure playground... Knowing I belong there, I felt a great urge to move. Lets talk about Perlon. How did you meet Thomas Franzmann / Zip? While studying at the 'Offenbach University of Art and Design' I met Thomas through his brother Joerg who was in film class like me, and is VJing for the "Get Perlonized" parties. Later I collaborated with Joerg on our Narcotic Syntax video clip for "Megadieselizer". There was a group of friends and fellow students from different artistic disciplines who set up a gallery and party space called 'Peak Club' from 1996- 99, Joerg and Zip among them. Zip and Markus Nikolai were producing as Bigod 20 at that time. I wrote promo texts for them and suggested the title for their final album "Supercute". Also names like "Dimbiman" and "SuPERLONgevity" came from me. And then I was involved in a girls casting for the Bigod 20 video clip "On the Run". Zip and Markus were in charge for the 'Peak' music programming. Sammy Dee, Keith Denis, Roman Fluegel, nd_baumecker, Ricardo Villalobos, Theo Parrish, Atom Heart, Pile, Dimbiman, DJ Hell played, and also Sylvia Juncosa. I took part as well, conceiving my music concept for "Elektropensturm" which would later become the mentioned radio show and live DJ program. How would you describe the uniqueness of Perlon compared to the rest of German scene, and what keeps it unique? After Zip and Markus quit Bigod 20 they started their audio-visual project Pile in cooperation with outstanding graphic designer Chris Rehberger who is also responsible for the Perlon graphic CI. The combination of music, graphics and colour schemes is a strong artistic statement. Both Thomas and Markus have a pronounced sense for conception, exuberant creativity, and they realize their very own ideas on a high professional level without thinking of what others may think or say. Actually, this is the way to keep a creative development going: breaking new grounds against all odds, creating your own flow which you feel comfortable with, not jumping on any bandwagon. It does fit the concept that Perlon neither run an active website nor offer digital downloads due to quality reasons. I'd like to point out that Perlon releases are not "minimal" at all, Zip will never file them under this term. If you listen, there are complex rhythms, tricky arrangements and multilayers of sounds with an organic flow – in a space which allows them to breathe and unfold. You will find so many events within a measure it is ridiculous to call it "minimal". Zip takes care in planting irritation seeds into the Perlon program. He won't accept demos (with one exception to date) because the great misbelief of most of the producers sending demos is that an imitation of what they think is the "Perlon sound" will make them get heard. But is there a Perlon sound? Certainly some of the producers on Perlon display a common approach to electronic music, but then again you have Markus Nikolai, Wareika, Stefan Goldmann, A Guy Called Gerald, San Proper, Shackleton, STL, Fumiya Tanaka, last not least Narcotic Syntax who all strike different, sometimes opposing paths. All are united under a special "family spirit". Exactly. Zip and Sammy Dee keep sense of the right moment, the right line-up for "Get Perlonized" which has every Perlon artist rotating. Everybody feels deeply involved, a feeling that is transferred to the crowd. The monthly parties at Panorama Bar allow the invited performers to play whatever they like, and it will be appreciated. In April this year, Zip and Sammy felt it's the right situation to add JDB to the line-up of "Get Perlonized@Concrete" in Paris to spread, maybe you can even say "pray" the spirit. Yes, it was perfectly timed, the right people in the right place while we were presenting a full range of "the emotional maximum". The people on the boat are usually going wild from the early morning hours till the end, there is a video clip of an unleashed crowd just when I played our "Drumpads of Jericho" – what a great moment, and it was only high noon... 'Concrete' is a gift for every performer, you have a super-professional organisation, a dancefloor that is full from the beginning, and an enthusiastic crowd. Isis Salvaterra and Claus Voigtmann from Toi.Toi.Musik were present, got into the groove and booked me for one of their special parties in London where I played a 5 hours set which ended in a standing ovation, a situation I didn't really know how to handle... – and added me to their DJ roster on the Toi.Toi.Agency. Now, where were you in the past few years? Doing my jobs and taking care in balancing moods (laughs)... DJing for more than 20 years, I belong to the regular "Get Perlonized" line-up at Panorama Bar since 2001. I didn't play that much in clubs for a while, however I enjoyed highlights when DJing fantastic places in Europe, South America, Japan. Making myself a bit rare is because basically I am afraid that I will get bored by my own DJ sets as soon as I play frequently. As soon as that happens, it will mean that I'll spread boredom myself instead of "the vibes". I try to keep loyal to myself, try to remain professional, to deliver quality, to extend my own niche before I put something on the (turn)table. And frankly speaking, sometimes I don't feel too comfortable in a club context. I don't take any "medication", so it is sometimes hard for me to adapt to the general club communication system (laughs). Although it happens every now and then that I am on my feet for 36 hours – when the music and people are truly inspiring. I play in bars and lounges as well. Today hardly anybody cares about the music furnishing in public spaces, and listening to constant bpms in bars that chop the time while you are trying to have a conversation is annoying. It would be so easy, and great fun, to conceive musical concepts for a public space. I like it when listening to music is connected to a certain listening place which helps you enjoy the special moment and gain an emotional access to the special situation. I mean, would anybody like to drink a Mai Tai while walking on the streets? Interested in so many different music genres, I bought more vinyl records in the past 3 years than I bought in the 10 years before. Discovering new and old records will never end, I gain so many new musical impressions that I started to feel inspired again to be out there in the clubs, transferring my multi-musical experience into the flow of club music. Maybe this is what makes you special amongst other artists, being less accessible but maybe more sought after. I don't know. Recently, a French blog even called me "James 'Dieu' Brown"... I find this as flattering as disturbing, that's just over the top. I mean, as soon as you understand music as primary emotion carrier and remain curious and excited, you are able to perform in a uniqe way, which means you have something to say. I don't have problems with playing "floorcleaners" in my sets, as long as they do make sense and are beneficial for the musical storytelling. It is advisable to turn the energy of the music down once in a while and offer the crowd to have a drink to prepare for raising the music to a high energy level again afterwards, like a rollercoaster. Personally, I like telling stories, therefore I prefer playing long sets, starting with 3 hours. I need a lot of events to happen, so I try to keep my sets as versatile and dynamic as possible, keep on experimenting. Generally, I enjoy playing oldschool records from roughly 1991-2001, they display such a wide range of ideas, visions, energy and emotional levels. I spin vinyl only, because sound matters, and because it is fun handling some tool and material, acting physical as opposed to staring into a monitor, especially considering the fact that I am getting paid for performing work. DJs' shoulders must hurt (laughs)... After all, I am also getting paid for the effort in pre-selecting the records for each individual party to be able to present the ideal flow. Most of these discussions "vinyl vs. digital" have a tendency to be dogmatic and are completely missing the point. "Hate" is a strong word, let's say I find a lot of things boring – but I can always explain in detail why. I have a strong opinion towards certain things because I find mediocrity annoying. By commenting a situation in an unpleasant way I hope to encourage some people diving deeper into a subject because in the end, you need two opposite opinions to form a reflected opinion. I am deeply into Westcoast House, the antithesis of "Minimal". With my passion about complexity and a certain kind of virtuosity, I find it hard to feel satisfied with the club stuff that is commonly filed under "Minimal". However, I find reduction exciting when there is an approach to consistency in form and function, like in Robert Hood's productions. And last not least, I like Minimal Music in a classic sense: Steve Reich, Terry Riley, Michael Nyman, Wim Mertens, Carles Santos: his composition "Bujaraloz by Night" is sheer beauty. So I might find a lot of things boring but then again, I feel strongly moved by others. Music can tear my heart out. There is hardly indifference. Professionalism, passion, excellent work, other worlds, animals and plants, travelling and dining. The shocking moment when an event takes me from routine to another level, like exploring magic places, the Atacama desert, or old buildings. Or when eating some very special food for the first time. Music-wise: a feel for progression, elegant transitions and well-developed, smart resolutions. Last but not least: the flow of the movie "The Party" by Blake Edwards. We talked about Mark Ernestus' Jeri-Jeri project, are there other projects you are inspired by? Jeri-Jeri from Senegal are overwhelming, the most impressing live performance I've experienced for a long time. I need a cardiac massage after that (laughs)... I feel affected by the energy and emotional power of polyrhythms, syncopations, the passionate tribal element, the Funk. The highest state of energy comes from traditional percussion work from Africa, South America, Asia, it's really another level, so why not transfer it back to club music big style? With Hypnobeat, my 80es project, we were trying to transform the primordial physical approach to the beat into electronic grooves by synchronizing up to 6 rhythm machines, sort of "Prototech": prototype Techno. I am attracted to rhythm machines, the first one I purchased was a Dr. 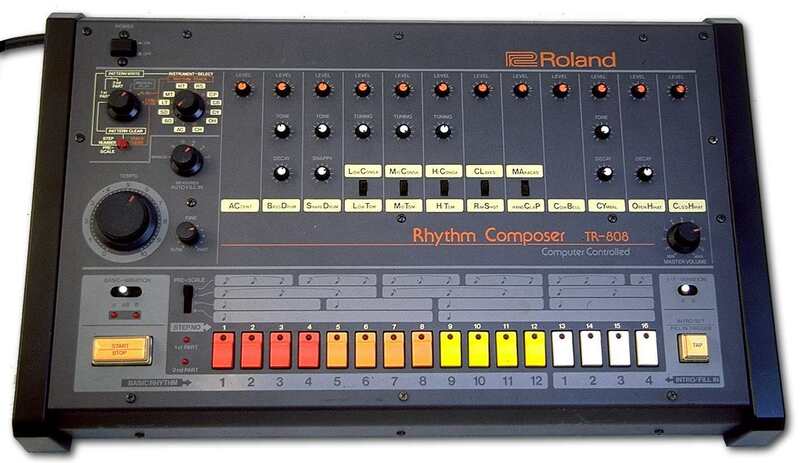 Rhythm DR-55, several others followed instead of synthesizers, and in the end I must have collected 11 different ones including two TR-808s which are still in heavy use today. There have been so many influences and so many artists over the decades that left an impact. The "Theme Sets" from my official JDB download page will certainly reveal some of my very favourites. What is ahead for James Dean Brown/Narcotic Syntax? We recorded some sessions and live sets which we intend to edit and release on a 7" single and a double 12"EP. Currently we continue performing live as a duo (JDB + Yapacc) and found our ideal analog set-up. This includes an army of "dwarves" from MFB, the company Yapacc is working and developing gear for, as well as my two TR- 808s which I program every time from scratch and continue programming until the end of each live set. Our future style will be different again from our past releases – more improvised, organic, psychedelic, 70es influenced. A 12"EP box "Last Outburst of Beauty" Parts 1&2 is to be released in 2013..While the intention was blending the club format with 70es psychedelic CrowdRock space jam vibes, some well-disposed music lovers got so carried away they even proclaimed that this is a song "New Order would have devised if they were a Pyroclastic Rock band out of a white rabbit's dream floating eight miles high on electric liquid". Oh well... In July 2011 we performed a one-off live set as a quartet at Suicide Circus, Berlin with singer Robert Conroy from N.Y.C. There are still unreleased songs in collaboration with Robert and guitarist Achim Treu in the pipeline. An album entitled "The Emotional Maximum" is expected to be released in 2020. There's a promoter's idea bringing Narcotic Syntax on a South America tour. Let's see. While James Dean Brown will be DJing Moscow, Osaka, Tokyo, Tours/France, Frankfurt, Paris in November/December. Fabric London, Istanbul and Santiago de Chile are on my schedule for spring 2013. Thank you for taking us on an exciting musical excursion. Would there be anything you'd like to add for the readers?